Bathroom renovation news! 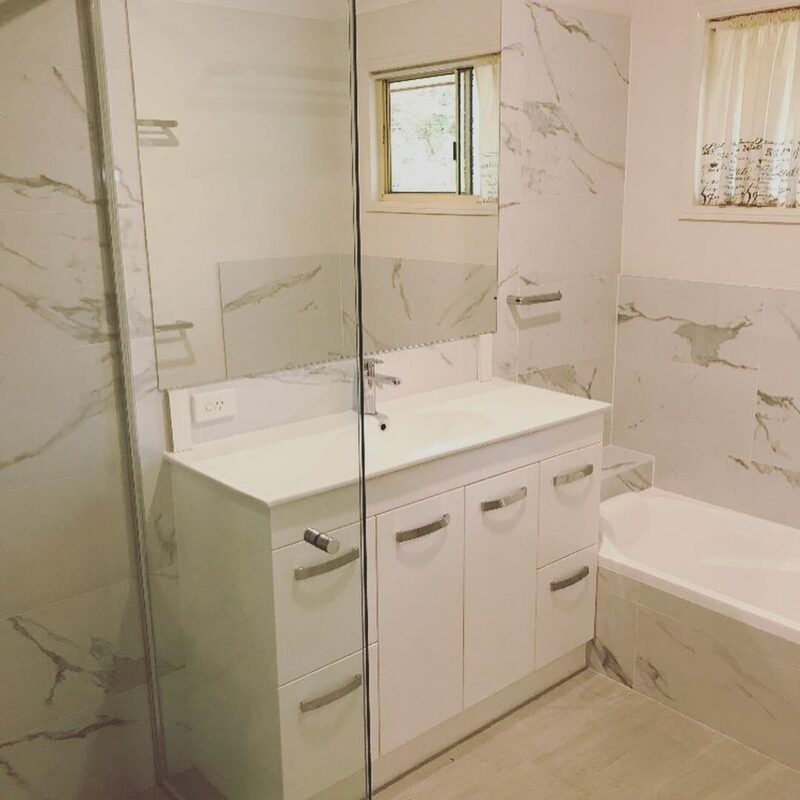 Back2Life bathrooms are proud to announce that we have rescued another family, delivering a sensational bathroom renovation for homeowners in Keperra. Our clients were getting desperate with the state of their bathroom. It’s easy to understand why. So, we were asked to breathe new life into this tired 80’s bathroom and we got there just in time! Those cracked, lifting terracotta coloured ceramic floor tiles were a bit dangerous and the water damaged budget vanity unit simply had to go. The property owners were keen for a fresh, lighter colour scheme. The large marble look tiles in white, contemporary chrome fittings, luxury frameless glass shower screen and mirror combined with large white vanity were all well-considered choices. As a result, they’ve created a very cohesive design story through their bathroom renovation project. 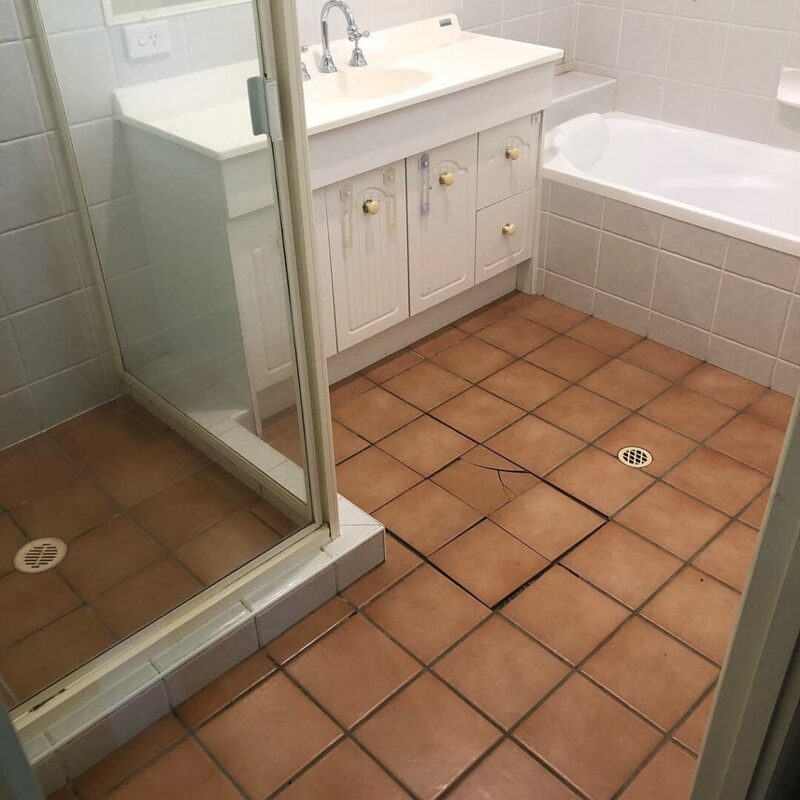 Storage is now no longer a problem for this family and though the dimensions of the room didn’t change, by replacing the dark floor tile with a lighter tile, the bathroom feels way more spacious. The grey tones in the tile are lifted and complimented beautifully by the satin chrome handles, towel rails and tap fittings. We’re very proud of this project. Back2Life Bathrooms Brisbane Brisbane have a qualified team of professional builders, tilers, waterproofing specialists and plumbers ready to make your bathroom renovation dreams a reality. We can assist with all aspects of your project including the selection of materials and project planning. We aim to work within your time frame and budget and to ensure your design ideas are fully understood before commencement. Are you living in an ’80s designed home in Keperra, Brisbane, Enoggera, North Brisbane, Ferny Grove or Mitchelton areas and thinking that now is the time? We’ll bring your bathroom Back2Life quick smart. Call Luke Morgan and the team at Back2Life Bathrooms on 0402 043 200 or visit www.back2lifebathrooms.com.au for more information. Keperra bathroom after. What a transformation! Back2Life Bathrooms – fearless in Ferny Hills!